Leadership and governance is an important element of the OfSTED inspection framework. 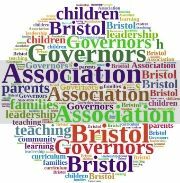 This site has been created to support the governance work in Bristol and elsewhere and to provide opportunities for governors to broaden their knowledge of examples of good practice and of ways of improving school governance and performance. You will find useful links and resources for governors to support their schools in all phases & for all types of governance work. This site, although a separate entity does work with the Governor Development Services to provide the widest support for those involved in governance across the City. Do share any ideas you may have for articles, tips or opinions in the comments below. It is YOUR space so do use it! I’m the Chair of `Governors at Kingsweston Special School. May I be added to your email list please? Please can you add me to your list for the news letter. I am a parent governor at Redland Green School. Could you please add me to your email list – I am a teacher governor at Barton Hill Academy. I am a Governor at Waycroft Academy. Please add me to the mailing list. I am a governor at Longcross and believe I am a member of ABGovs. I don’t use my blueyonder email and would be grateful if you could amend my email on your maillist as per above. Many thanks. PLease could you add me to your email list too! I am a parent governor at Summerhill Infant school. Can you kindly add me? Please can you add me to your mail list? I am a parent governor at Fonthill Primary School.